Fanned Mohawk hairstyle. Photo by javanutmom. Fanned mohawk is the most known variety of mohawk. It shaves both right & left side of the head and leaving a strip on the middle & spikes it like a fan. The longer & higher you spike, the more you need to maintain. This hair is suitable for straight hair. But nowadays, people change and put some creative style onto his fanned mohawk, such as braided mohawk, curly fanned mohawk, etc. Sanjaya Malakar (finalist of American Idol) is one of people who has curly hair applying mohawk style. The Mohawk is one of the most popular punk hairstyles of all time. There are several ways to wear it. By far, the most popular choice is the fanned Mohawk. Here, we are going to explain how to create and maintain this radical style. The first step is to let the hair grow out to a reasonable length. Most stylists recommend a minimum of six inches to get the fullest and best looking fan. The top and back are the critical areas that need to be grown out. 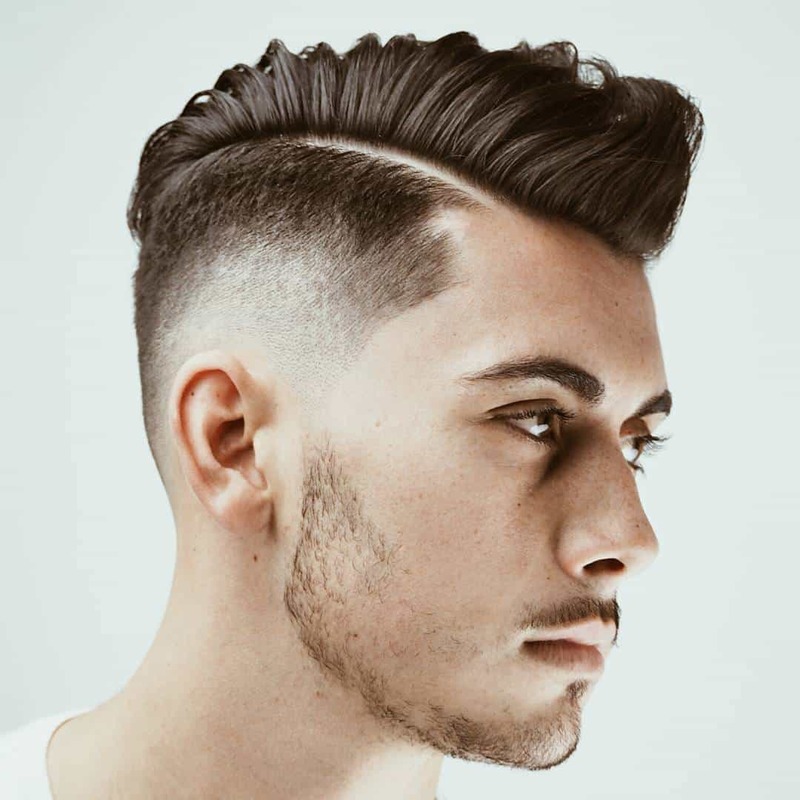 After the desired length has been reached, one should shave the sides of the head, leaving a single stripe down the center of the top and back of the head. This stripe of hair should be at least one inch wide and left the full length. The next step is to find the right product to hold the hair stiffly in place when it is pulled up into a fan. Wax is not recommended because it provides a soft hold that will not last long. Gel is better, but it may not be strong enough to handle very long hair. Many stylists suggest using Knorr unflavored gelatin on the hair to provide a very stiff hold that will last a long time. To get the top of the hair to stand up, many suggest hanging the head upside down. Apply the gel or gelatin to the hair while in this position and allow it to set for a few minutes before turning right side up again. Lying on the back with the head hanging over the edge of a bed will let the hair in the back hang straight down behind the person. Apply the product to this area in the same fashion to hold the hair in place. The crown of the head does not fall into either of these categories. Part of the hair will stand up straight and part will stand out to the back. To even out the fan, most should gently pull the hair back toward a forty five degree angle and up toward that angle so that the two sections meet smoothly. This may be difficult to achieve alone. Many find it helpful to have a friend assist them in evening this section out and forming a proper fan. Extra product may be needed to adjust the way the hair stands in the crown area, with additional product being used to strengthen the fan on the side battling gravity the worst. Creating and maintaining a fanned Mohawk is not easy. This look may not be suitable for everyone. One thing that is likely to be helpful is the presence of a friend to help with difficult areas that do not want to stand out at an angle. The top and back are relatively easy to shape, allowing gravity to assist. The crown area is a bit more complicated, however. This is the area that will likely need additional product and help from a friend to get properly shaped. Video below shows you how to spike a mohawk using hairspray and blowdryer. You can find lots of examples of mohawks, liberty spikes and all sorts of crazy punk rock spiked hair at http://www.MohawksRock.com for both the girls and the guys.